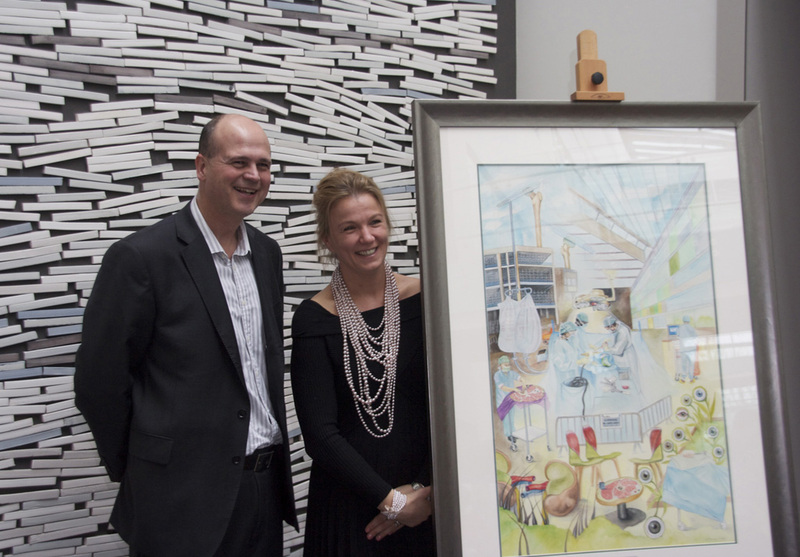 It’s not every day that a medical artist is asked to be part of a building project. 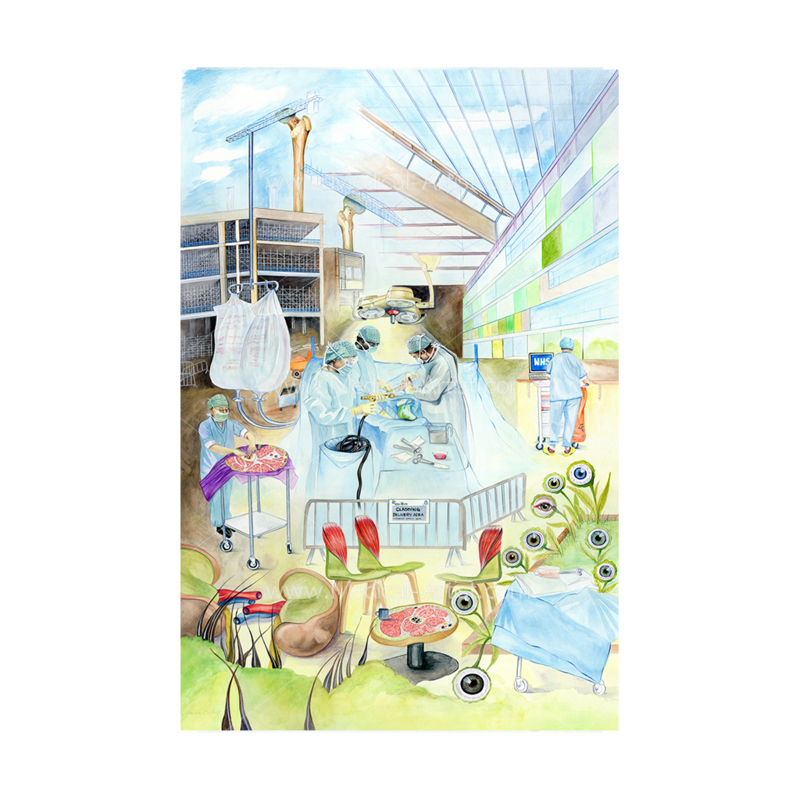 To be commissioned to create wall art with a ‘medical art twist’ to mark the building of a large hospital redevelopment site, situated at Southmead NHS Hospital in Bristol. 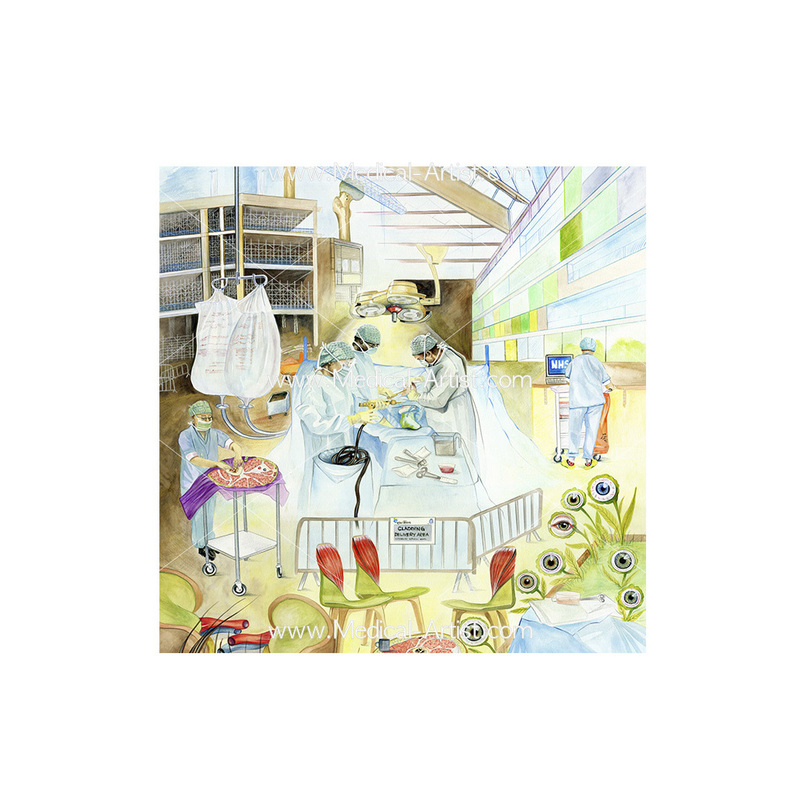 The brief was to produce two very large traditional watercolour paintings on a one meter high canvas, their ultimate purpose to be on public display to celebrate the completion of the hospital. The paintings to have a combination of medical art and the actual building structures in order to celebrate this state of the art building. Employed by the Hospital is a duo called Davis&Jones. Davis&Jones are originally artists but they formed a partnership in 2009 collaborating between Deborah Aguirre Jones and Eleanor Wynne Davis. In a bid to find new and innovative ways to celebrate the hospital build, two major commissions were awarded working with Bristol City Council and North Bristol NHS Trust, to work with communities within Bristol and with the redevelopment team at Southmead Hospital. 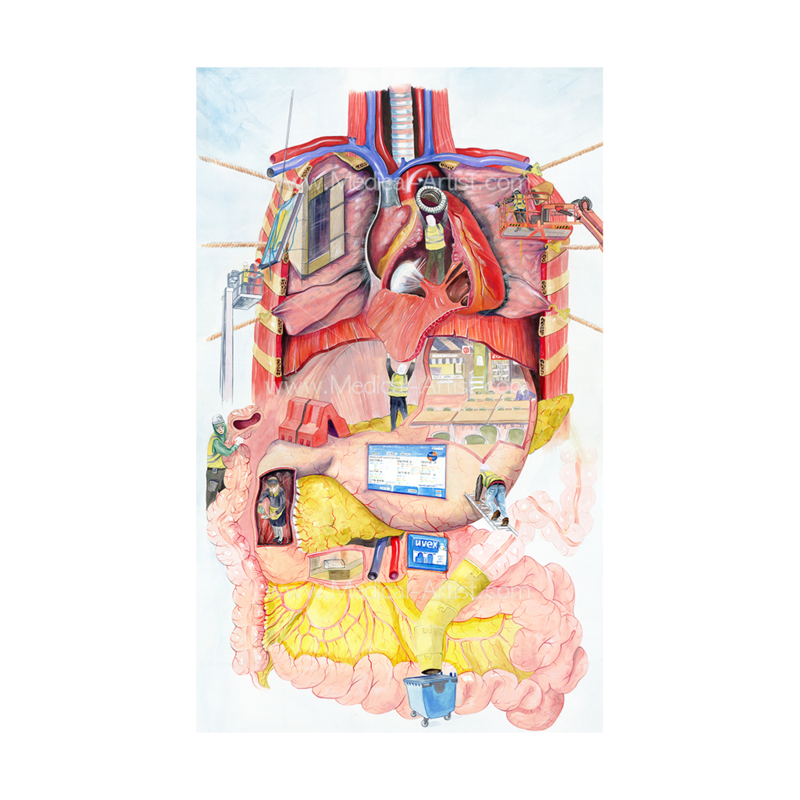 Deborah Aguirre Jones and Eleanor Wynne Davis were commissioned as part of this award and they in turn had the idea of having two paintings that would combine medical art, anatomy, science, building structures into one piece. 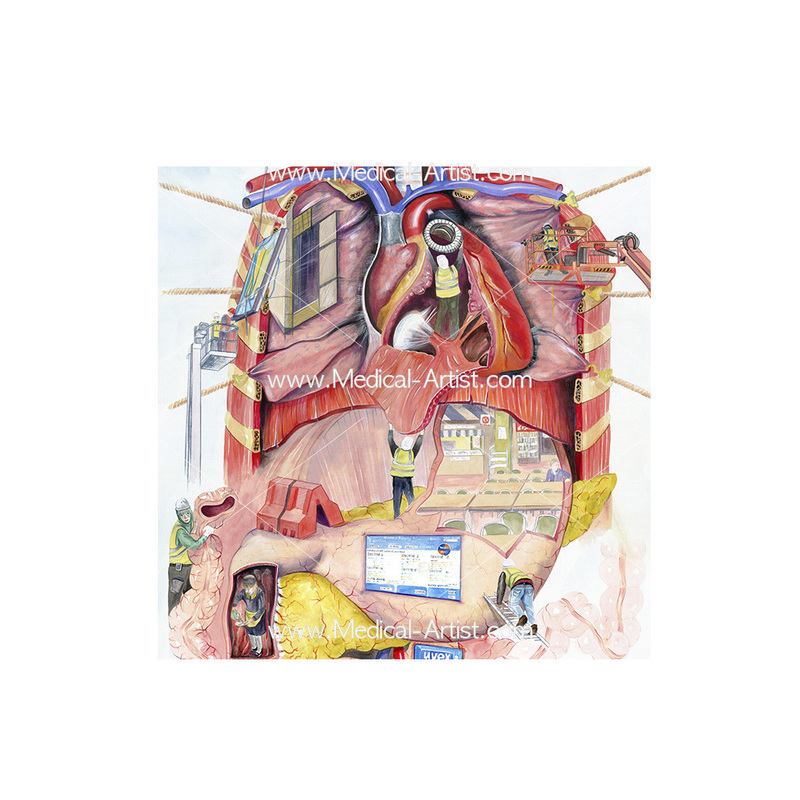 Such a commission was a challenge but the resulting artwork managed to combine all the elements resulting in two quirky and original pieces of artwork. The Davis&Jones ethos is to be artists involved with community projects, to be socially engaged artists, their purpose and collaboration to create communication through art. 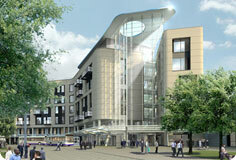 Their aim at Southmead was to aid all those working at the hospital and building site, by keeping communications flowing to help over come any issues that such a large building project might bring. This kind of organised engagement between all parties, through exploring ways of connecting and keeping communications open between the developments was done through creating artworks, holding art style occasions and having open dialogues. Not only an enjoyable aspect for staff, but a side effect that helped keep up the staff morale through all the change and upheaval. 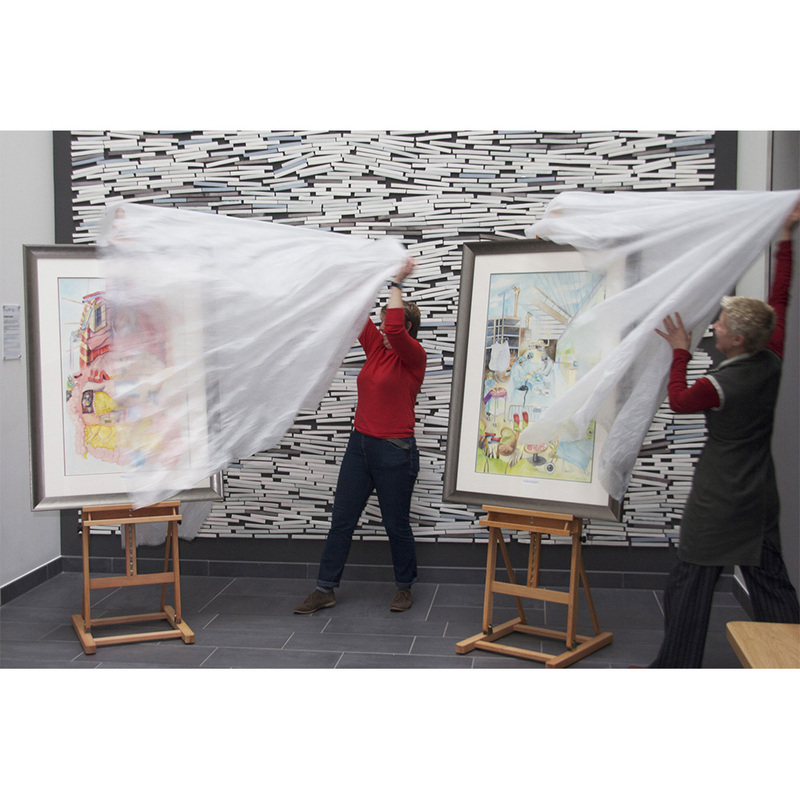 Culminating with a gift to all those involved with the redevelopment, would be the two paintings, to mark these historical changes at Southmead Hospital. 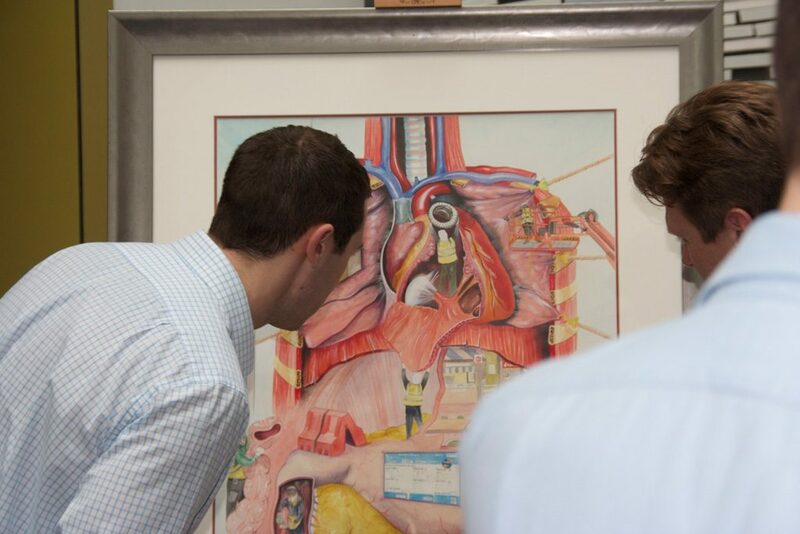 So having taken on the challenge, our outline was to use the skills of a traditional medical artist using our knowledge of anatomy with a combination of the experiences gathered through site visits with the Bristol-based hospital team and Carillion construction company. The site visits involved spending time in surgery watching an arthroscopy of the knee, and spending time on the construction site itself, wearing protective clothing and learning about the massive administration of totally redeveloping three hospitals into one. 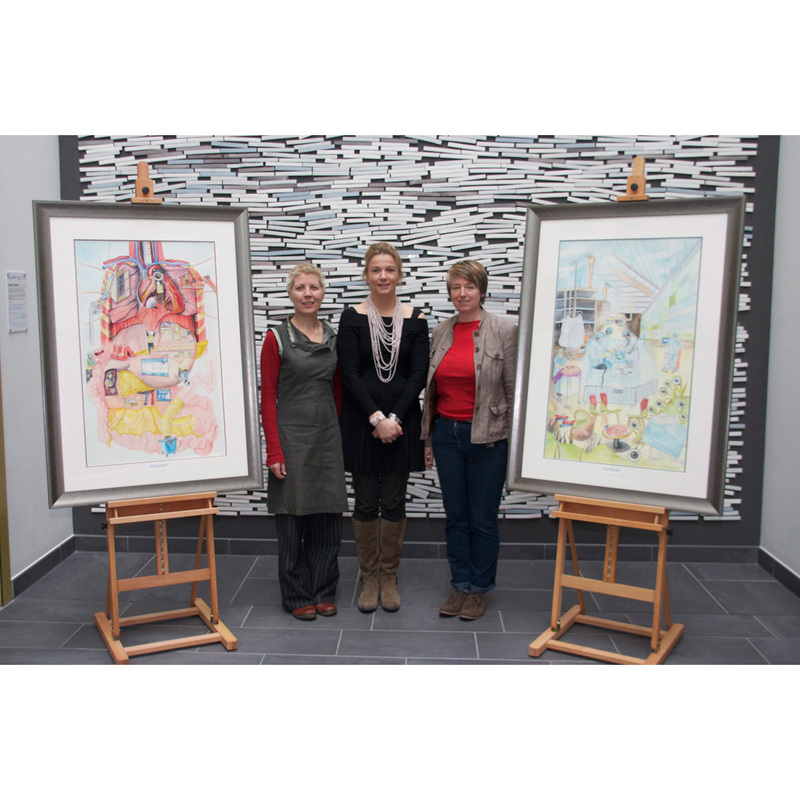 The final piece of our involvement was the unveiling of the two watercolour artworks, containing an unusual mix of traditional anatomical drawings with the hospitals own new architectural features at the end of February 2012.